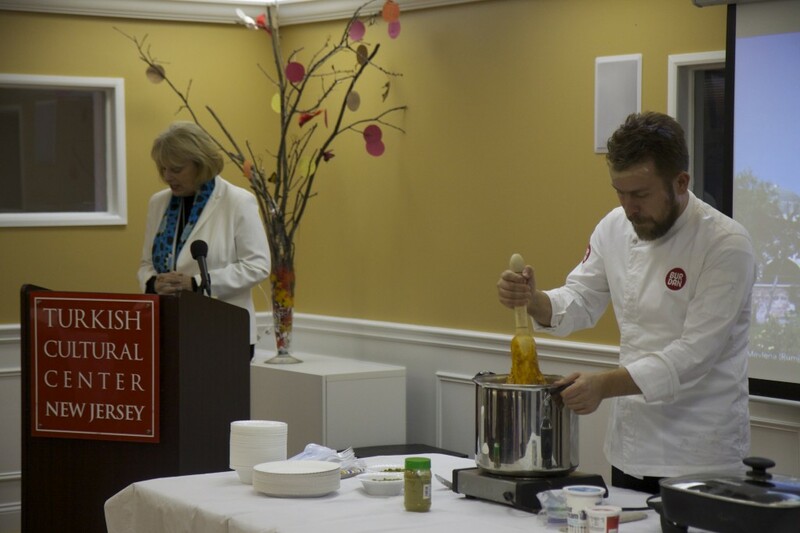 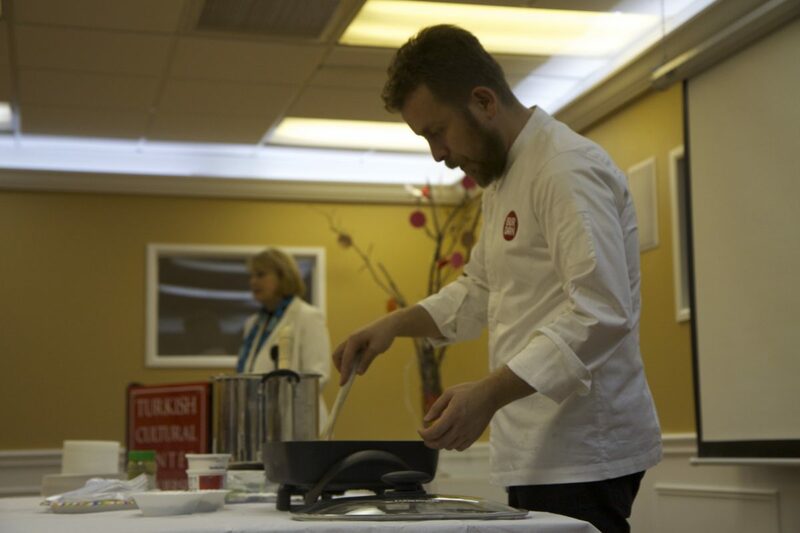 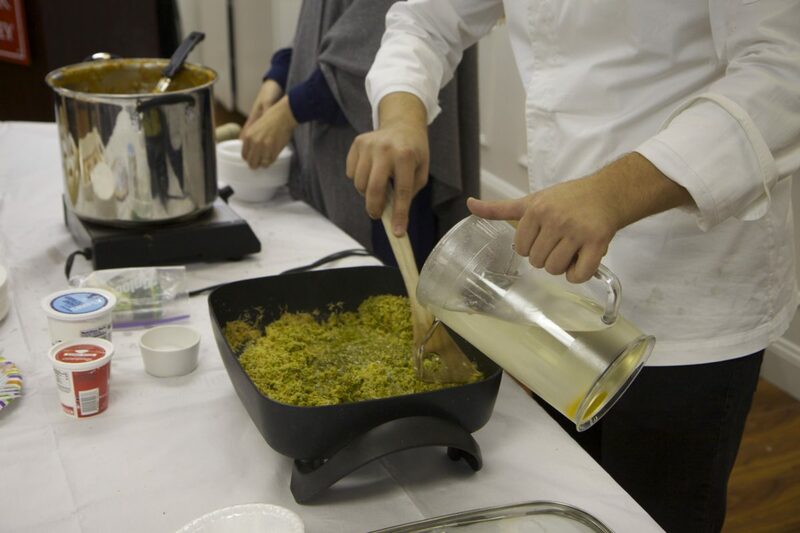 Awarded Chef Omur Akkor had a cooking show and book signing at Turkish Cultural Center Bergen on December 14th, 2014. 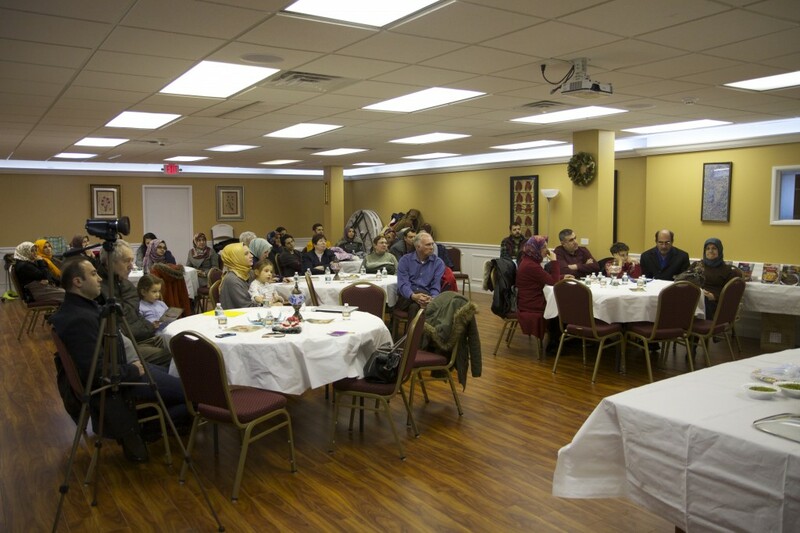 The program has started with Author Katharine Branning`s informative presentation on Seljuks. 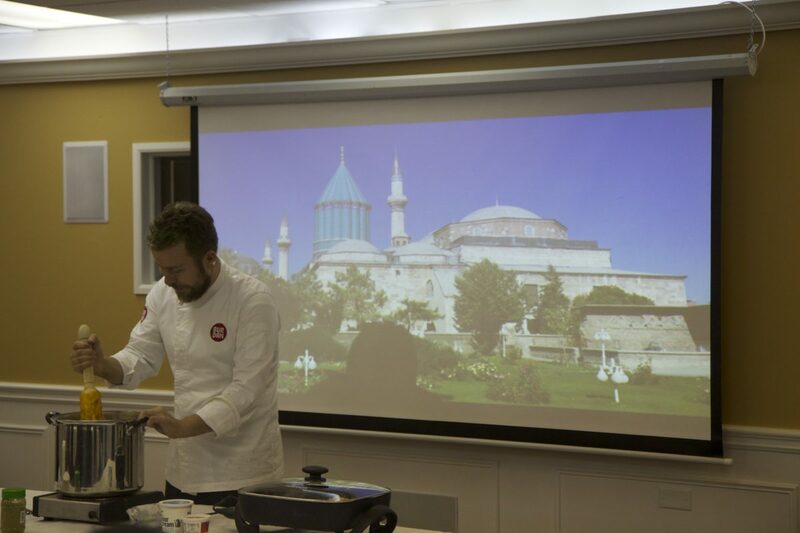 While Mrs. Branning were presenting seljuks, Mr. Akkor cooked `Keskek` which is known the first cooked meal in history. 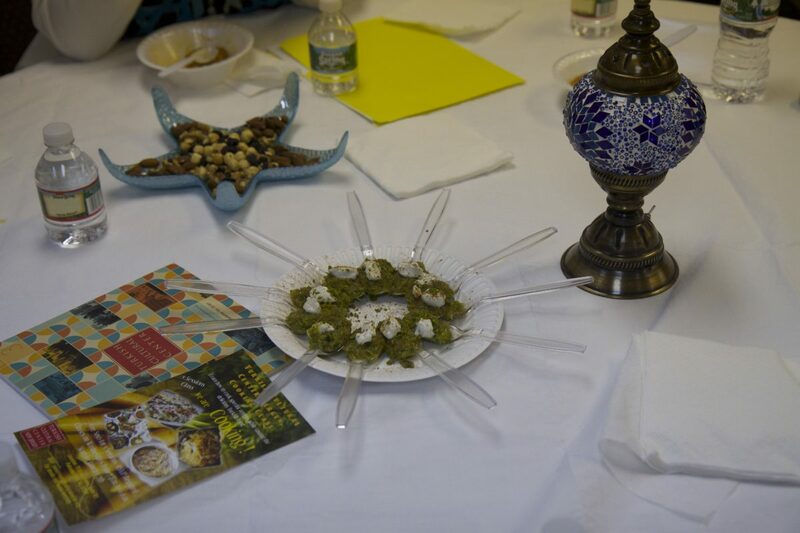 After Mrs. Branning`s presentation, guests tasted delicious keskek. Then Mr. Akkor prepared delicious desert that named `heaven halva`. 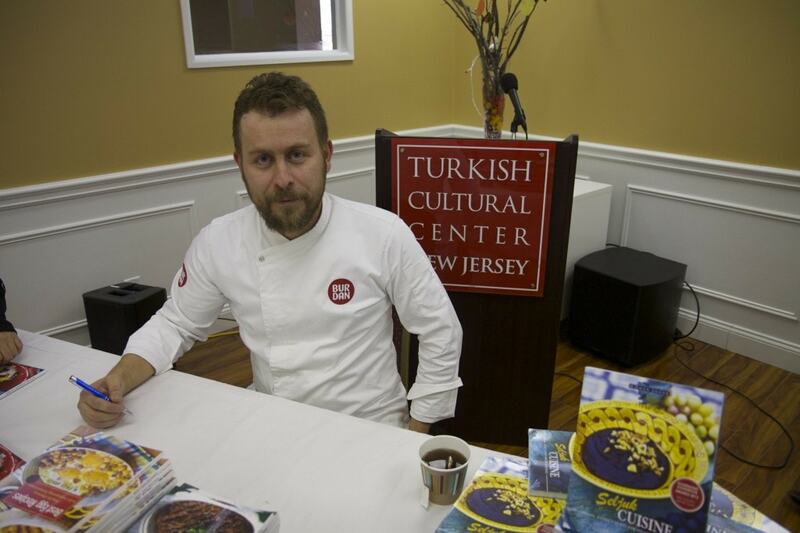 At the end of the program, Mr. Akkor signed his Awarded Cookbooks and talk with his readers about his recipes. 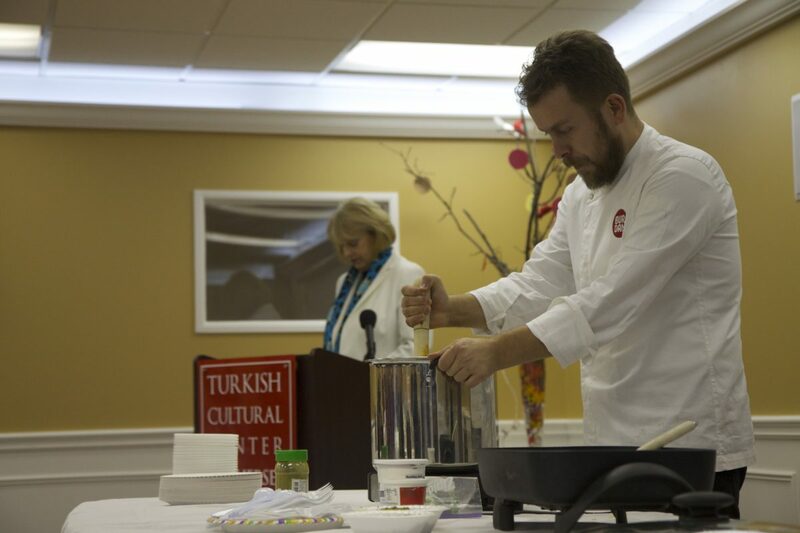 We would like to thank Mr. Akkor, Mrs. Branning and our guests for wonderful program.